Automation has the ability to measure, check, and control industrial processes. It helps on innovations that seek to increase efficiency and productivity. But, why integrating projected capacitive touchscreen (PCAP) devices to automation will help? 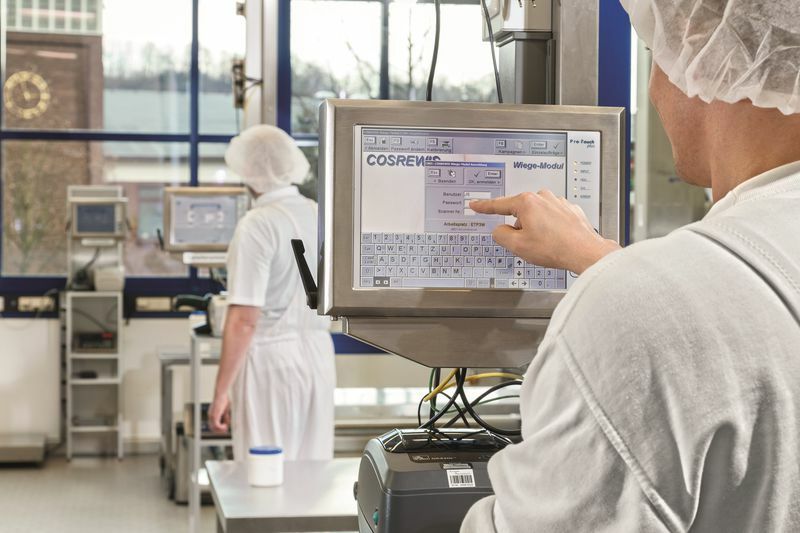 In the case of the food processing industry, utilising 17” PCAP-enabled monitors is a big step. Given of its complex processes, it is compatible with automated food processing applications. Read on and know why you should choose the S17 projected capacitive touch PCs. Touchscreen technology has been making a huge impact on the industry for years. Industrial processes optimise the use of 17” capacitive touchscreen devices on various operations. With these devices, food processing personnel can do tasks on interactive production displays. Food processing involves challenging industrial tasks. It requires strict adherence to hygiene and safety guidelines. Today, computing technologies are helping the food processors’ control production. With its intuitive interfaces, it is easy for any personnel to use panel PCs in the food production areas. Thus, it increases productivity and improves efficiency. Would you invest in a 17” projected capacitive touchscreen over other industrial PCs? Here are some of the reasons why. To start with, both of these industrial computers can adhere hygienic conditions. When you cross-examine the table above, both of them have some similar specifications. But, the 17” capacitive panel touchscreen has better features. It passes the hygienic standards and guidelines in food processing. Other industrial PCs may have limitations to endure varying environmental conditions. As you can see, S17 PCAP industrial PCs have higher IP rating compared to the other PCs. It can withstand harsh environments. And, it is suitable for close-range high pressure, high-temperature spray downs. Whilst, the latter is only resistant to short-term water immersion. Our S17 capacitive touchscreen panels also come with a DDR3L-1600 system. It is more advanced from the other industrial PCs. It can be compatible with the latest technologies which many businesses use these days. Aside from this kind of technology, you can also combine it with our industrial keyboards. It comes with a compact footprint size, rugged, industrial quality stainless steel construction. Powerful, dependable, industrial quality construction. That is how we describe our product line. Are you up for automating tasks at your facility today? Search for a reliable and top performing industrial PC to achieve this goal. With the 17” projected capacitive touchscreen PC, you can be sure of a robust solution. Whether it’s automation or upgrades, it’s time to improve your food processing operations. Find out more about our industrial touchscreen PCs and other related trends today.